Wildlife fleeing from the flames, scorched soil, and dozens of entrepreneurs out of business. These were the devastating effects of the fire that started on December 27, 2011 and destroyed more than 17,606 hectares (43,505 acres) in Torres del Paine National Park, forcing its closure for several weeks and causing permanent environmental damage to one of the most beautiful places in the world. Unfortunately, the December 2011 conflagration was not the first time that a fire had started as a result of a tourist’s irresponsible conduct. In recent years, three major forest fires have affected the park -- all of them caused by visitors. The first occurred in February 2005, when an inferno that lasted 10 days destroyed approximately 7% of the park. A Czech tourist sparked the fire while using a gas stove in a grassland area where camping was not authorized. The disaster was such that the Czech Republic offered help to restore the damaged sectors. The forest cooperation project “Assistance to Renew Torres del Paine National Park Ecosystems Damaged by the Fire” ended in December 2010. It ran for five years and included reforestation with 180,000 Lenga plants. In February 2011 an Israeli tourist caused a fresh blaze after lighting a campfire in an unauthorized area. Fortunately the fire was controlled by rain, and catastrophic consequences were avoided. The tourist was expelled from the national park. The December 2011 fire was caused by another Israeli visitor, who had tried to burn some toilet paper. The devastation in this case was far worse, with volunteers from all over the world offering their assistance. CONAF -- the government agency in charge of managing protected areas in Chile -- had staff fighting fires until March 8, 2012. The native forest that was destroyed comprised trees that grow very slowly, taking 200 years to reach maturity. They also need to be protected from the cold and wind during the winter and dryness during the summer. Revitalizing the scorched areas therefore is not just a matter of replanting small trees, but also of providing them with the required growing conditions. In addition, it’s important to consider that a large part of the fire went underground and affected the area’s soil. Wildlife living in the park returns to the damaged sectors only to find them completely barren and had to move elsewhere in search of food and shelter. The forced closure of the park also affected the local economy, which depends on income generated by thousands of foreign tourists who visit the area during the high season, between November and February. Tourism business owners lost an estimated US$2 million dollars. Many local businesses have made great efforts to avoid layoffs because their employees rely on the salaries earned during these few months. This drove the Chilean government to allocate resources to support micro and small tourism enterprises in the area and launch an aggressive international promotion campaign to maintain the flow of visitors to the park in 2012 and 2013. This third fire in Torres del Paine caused a flurry of angry comments in the media, with Chileans demanding that the government crack down on unauthorized camping and allocate more resources to protection. Many people also complained about what was considered to be a slow reaction by the Israeli government to offer help, certainly in comparison to the Czech Republic’s response in 2005. 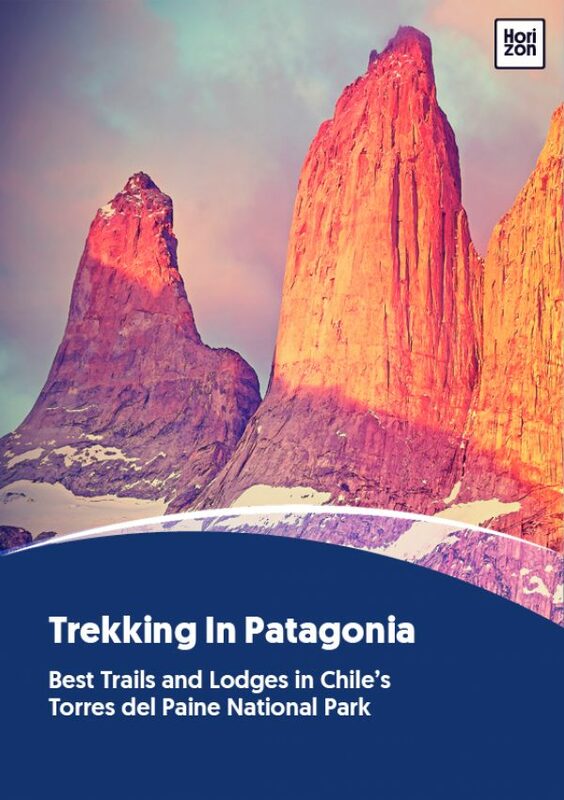 The biggest issue is that Torres del Paine is mainly a destination for foreign tourists. Chilean visitors usually just go for a day trip, since the cost of staying overnight is too expensive for them. Many foreign tourists who also can’t afford to travel to the park with a tour operator and stay at one of the several accommodations choose to rent a car, guide themselves, and camp. Those are the riskier visitors because many of them stay outside of authorized areas. In such cases, faced with inadequate infrastructure, they do whatever they can to be comfortable. Although they generally mean no harm, their limited knowledge of the park’s environmental conditions and their disregard for warnings by park rangers leads them to make hazardous decisions. The Israeli tourist who started this last fire was forced to stay in the area until the legal investigation was over. In 2015, the Supreme Court of Chile confirmed his sentence to pay an indemnity to the State and to carry out a reforestation plan at the national park. He has claimed that there were no warning signs in the national park and that nobody gave him any guidelines. Although unlikely, that may be true. National parks in Chile – as in many other countries – suffer from decades of insufficient funding to hire necessary personnel and implement adequate surveillance and prevention measures. Since 2012, several tourists have been expelled from Torres del Paine and banned from visiting it again due to starting unauthorized fires. Thankfully, none of them had significant effects. More positively, many people called for action to support the reforestation of Torres del Paine National Park. One of the most prominent initiatives, a campaign called “Let’s Reforest Patagonia”, was launched in May 2012. It seeks to organize citizens to donate one million native trees to be planted in the Torres del Paine and Laguna San Rafael national parks and in the Lago Carlota and Cerro Castillo national reserves. How does this work? For each US$4.00 donated, contributors will be able to have a tree under their name in Patagonia. A grid is displayed on the website with green trees and burnt trees. To make a donation, a person clicks on a burnt tree. Once the transaction has been made, the contributor receives a certificate with the coordinates of the place where the tree will be planted. Five years later, the campaign has raised funds to reforest over 300,000 trees, according to the website’s counter. Stay at lodges or refugios rather than camping. Choose guided hiking with an organized outfitter. Always mind park rangers and signage. Plant a tree! Donate to Let’s Reforest Patagonia. The clock is ticking to help restore the beautiful Chilean Patagonia and to prevent it from being destroyed by reckless human behavior. It is up to us to act responsibly to ensure that beautiful places such as Torres del Paine National Park are preserved for the enjoyment of future generations. This article originally appeared in The Travel Word in February 2012. It has been updated by the author.